Welcome to the heart of the northern French Alps. 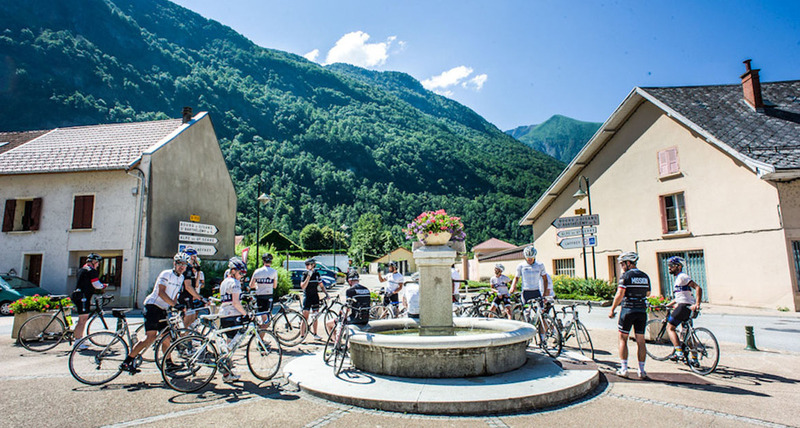 From the front door of our private chalet in the village of Bourg d'Arud we'll explore some of the most legendary mountains in cycling history. Our week in the Alps offers a generous mix of challenging climbs, seemingly undiscovered country paths and the most stunning views attainable by bicycle. 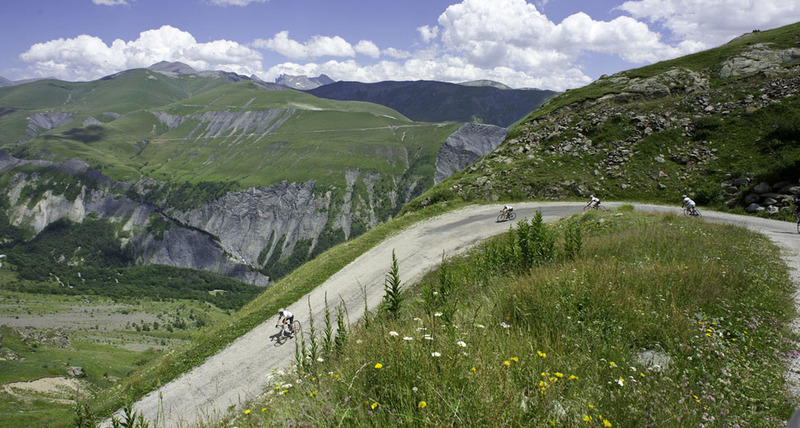 From your first attempt up Alpe d'Huez to the moment you discover the unexpected beauty of feeling gloriously insignificant within the expansive French mountains, this trip is sure to leave an impression on you. And while the trip is 100% centered on delivering an unforgettable cycling experience, that experience isn't restricted to what you'll see from your saddle. Bring a beer to the rejuvenating Alpine stream just a few meters from our front door. Have a shot or two (or more) of Genepi at our local pub. Bring your fitness, bring a camera, bring a good attitude for adventure and camaraderie and get ready for a trip you won't forget. We'll be based in a private chalet in the small village of Bourg d'Arud. We're a quick walk down the mountain from the medieval stone village of Vénosc and just 8 miles from the Bourg d'Oisans and the base of Alpe d'Huez. Each guest room is double occupancy with access to a shared bathroom on each of 4 floors. The ground floor is common area where we'll prepare for our rides and regroup afterwards. We'll eat dinner family-style outside and spend the evening relaxing under the stars (with a bottle of rosé). Each day, we'll have a planned route with options for cutting it short or, in some cases, adding an extra credit climb or loop. The riding will offer as much of a challenge as you can handle. 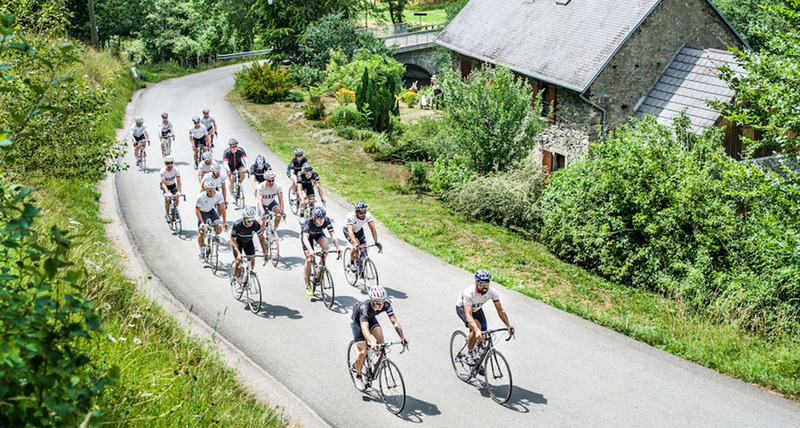 There is a good reason the Tour de France is so often decided in this area. The climbing is unparalleled. However, the rewards waiting at the top of these climbs are equally unique. It's not all about climbing though. We'll eat lunch in the countryside or at the top of the highest peak for miles. You'll meet some of our favorite local folks. We'll probably hit a few pubs on the ride home. Food will be served by our private chef on the grounds of our chalet. Breakfast is buffet-style, allowing you to get the pre-ride nutrition you'll need to get you to lunch (which will be different every day). Upon returning from the ride, we'll take a walk to the Alpine stream a few meters away to rejuvenate our legs. Then, after a shower, dinner is served outside where we'll catch up on the day's adventures and prepare for the next. 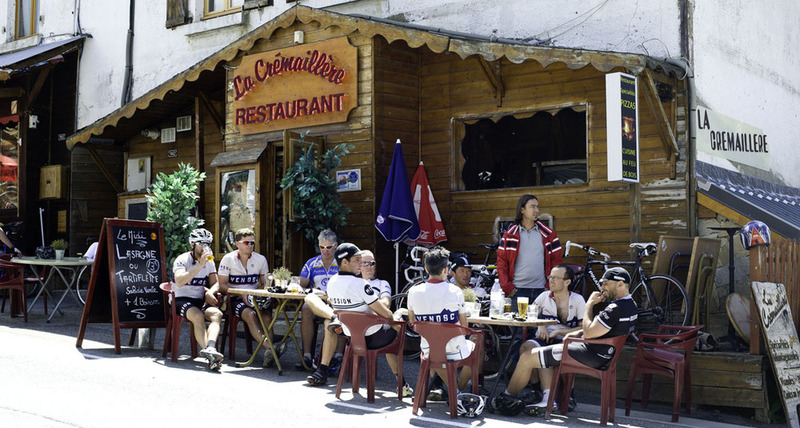 And, if you're up for it, we'll head up to La Bombance for a post-dinner Genepi.